B - 2 / 345, Vikas Khand, Gomti Nagar, Lucknow – 226010, UP, India. The Excella group is an emerging real estate organization, with only one vision, to provide the luxury of having a Luxurious home for a common man. 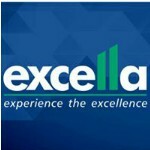 Excella, its inception, was done by founder Mr.K. Goel, who brings his 15+ years of experience & expertise in real estate, being associated with India's leading real estate companies. His vision to provide Luxurious life at least expensive price that is being established in form of KUTUMB, the first milestone of Excella group. The group believes in Excellence beyond lmagination. Going forward, the Excella group will actively seek opportunity in core areas of Country’s infrastructure development. A well structured organization in which competencies and responsibilities are clearly defined to provide instruction to all the employees. The Group believes that the reasons of their existence are the common people and their happiness is the one factor drives and motivates them.